Please contact us for sponsorship and advertising rates. Sponsors accepted for specific event promotion, and in support of environmental businesses, industries, initiatives and programs. Sponsorships are custom designed around the sponsoring company and organization. Advertising rates are based on a monthly and bi-weekly basis and discounts offered for repeat postings. Place Your Ad Here. Choose your ad shape and ad size. 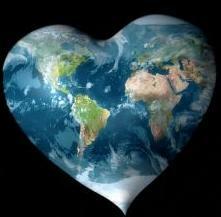 Interested in Submitting to The Green Blog Network? Query us with your story idea/ article submission. One of our Editorial Staff will get back to you. We’re especially keen to hear from you if you have environmental expertise in a particular region or topic and the passion to share it! 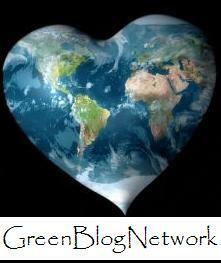 The Green Blog Network is an exciting blog about everything green that’s local to your area. Paige Donner, Founder and Editor-in-Chief. The excellent theme to spend time on. Love the Green Blog Network, it looks like you have some excellent advertising opportunities which we will definitely have to consider for our future ad campaigns. I love your writing style truly enjoying this internet site . Thanks for the terrific issue. I may bookmark this particular page for future visits. Infact your concept integrates with ours. Thanks for sharing that wonderful content on your web site. I check it regularly. Thank you for discussing this wonderful content on your website. I will check it regularly whenever you publish additional articles. Thank you for sharing the following superb subject matter on your web site. I came across it on the internet. I am going to check back again whenever you publish additional articles. It is a terrific piece. Attractive, with viscerally intriguing artwork. I simply want to mention I am just beginner to blogging and site-building and certainly savored this web site. Likely I’m planning to bookmark your blog post . You actually come with fantastic well written articles. Thanks for sharing with us your website page.